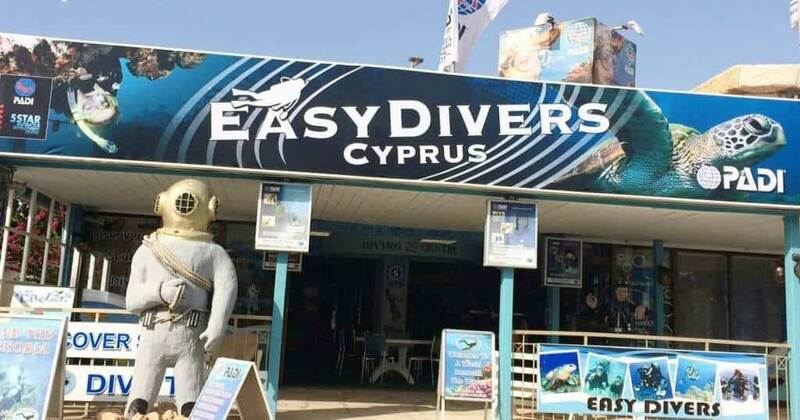 Easy Divers Cyprus, We are not just another dive shop in protaras, we are the BEST…. No Experience Necessary. Have Fun Learning To Scuba Dive. “Living the dream” To some, it’s a life spent hanging around underwater! We offer a simple try diving courses up to technical diver courses. 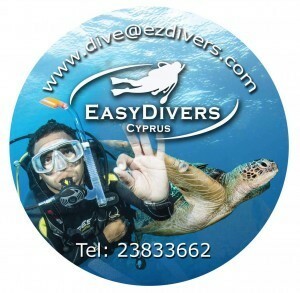 Easy Divers Cyprus located on the south east coast of Cyprus in the resort of Protaras. We are a family-friendly scuba diving company that offers a suitable activities for all family members from 8 years to 80 years of age. Your never too old to start scuba diving! Enjoy Outdoor Activities with scuba diving around the Protaras area and Cape Grecko dive sites. 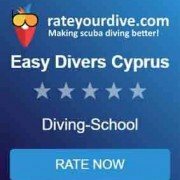 Easy Divers will show you around best places to dive when scuba diving in Cyprus. Scuba excursions and diving activities to local diving sites and shipwrecks are great fun way to discover Cyprus. We pride ourselves on offering the best services for all our customers. Certified divers will find we have great deals on scuba diving trips and Padi Courses. Our Padi Diving Centre is located at the main traffic lights at the top entrance to Protaras, Cyprus. Just walk into our dive shop and see us for the best deals on snorkelling, scuba diving equipment and dive tour excursions. There are lots of local protaras hotels, with self catering hotel apartments to 5 star resort hotels in cyprus. Protaras is a beautiful resort and a very popular holiday destination that boasts a fabulous selection of European and Greek Cypriot restaurants, great hotels and beaches you only can only dream about. You will discover the weather in Protaras Cyprus has hot summers and its warm mild weather year-round. We have some of the best Beaches in Cyprus Ayia Napa Nissi Beach, Flamingo bay and Fig Tree Bay in Protaras Cyprus. 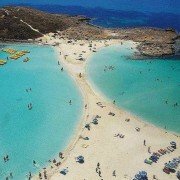 These are local to Protaras and ranked 1st and 3rd for Top Beach Destinations for Europe. 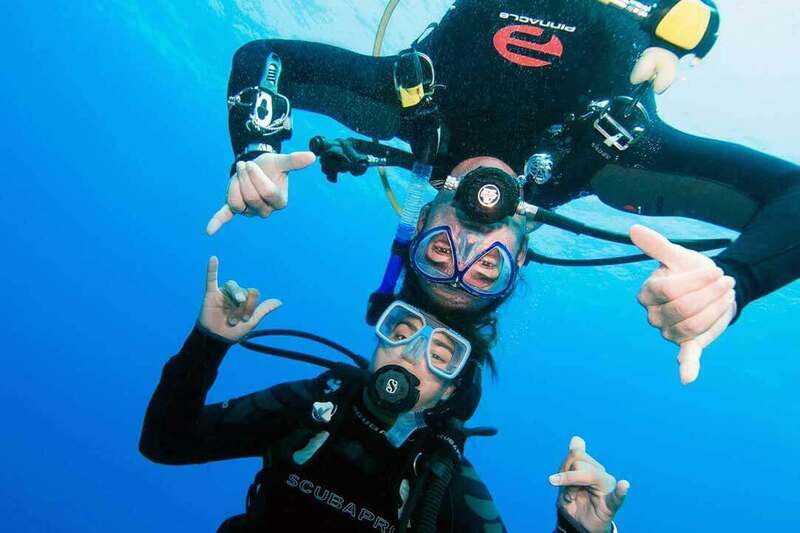 What to do in protaras cyprus, snorkelling and scuba diving in cyprus best spots with Easy Divers. At Easy Divers Cyprus, we love diving and we will take you on a fantasy where you can discover the underwater world of Cyprus in warm clear sea, but this is not a fantasy it’s REAL! Cyprus sea temperatures range from 16c in the winter to 29c in the summer time. We pride ourselves for having made the Padi IDC dive centre status. Our large Padi Centre is a fully stocked padi dive shop for all watersports of divers needs. With branded scuba gear like Mares, Scubapro, Beuchat and other famous named brands in scuba along with other great diving products. We sell and service diving watches and computers. Only top quality scuba diving equipment and Padi Materials for our Padi courses are sold in our dive store. First time diving, We aim to give all our divers a perfect dive experience, even if you’re a taking your first breaths underwater with the padi Discover Scuba Diving, it doesn’t matter because we just love to go scuba diving too! Our dive team can teach in 7 Languages. We speak Greek, English, Russian, Polish, Swedish, Norwegian and Danish. Whether it’s Trying Scuba Diving or you’re already a qualified diver. You will find our padi dive school in Protaras a great place to start. Our scuba instructor’s are friendly, polite and very helpful. Looking to dive somewhere different? We know all the best diving spots. We will show you around some of the best dive sites in Protaras. One of the most beautiful spots is Green Bay, Blue Hole, Caves and Canyon dive site in the scenic Cape Grecko area, the hidden jewels of Cyprus. If you have a diving certification you cannot forget about the Zenobia Wreck in Larnaca with stunning views of lorries suspended from the wreck and giant fishes. Easy Divers Cyprus can offer you the option to get most PADI scuba diving courses completed online called PADI eLearning. Padi eLearning Courses Openwater Diver, Advanced Diver, Rescue Diver, Nitrox Specialties Padi Divemaster and Padi Instructor Courses. All these Padi eLearning Courses can be completed in the comfort of your own home or even on your iPhone or Android, prior to arrival in the language of your choice. Commercially Certified Scuba Technician at Easy Divers can service all brands of dive equipment. Scuba equipment. Our Scuba techs knowledge of dive related equipment is second to none! 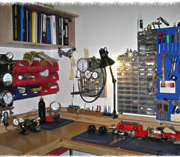 A simple serviced scuba regulators, diving computers and diving watches. No Problem! We also rent high quality scuba equipment, dive gear and a tank/cylinder filling station catering for both air diving and technical diving. TecRec Courses Available. Thinking about career change to scuba lifestyle? Quit Your Job and come Scuba Diving in Cyprus, we will show you the ropes!! 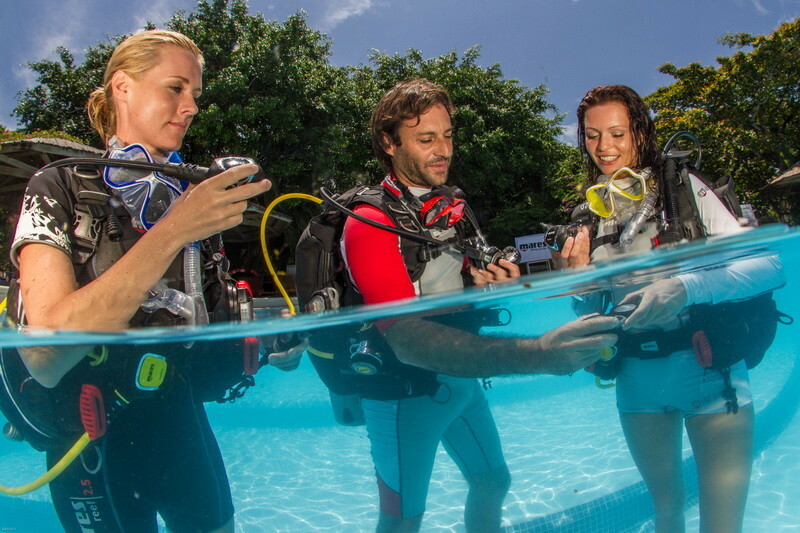 If you’re looking at becoming a Padi Divemaster, Padi Instructor or Instructor Crossover Courses from another diving agency our Padi Course Director will guide you through the steps. Longer options for gaining more diving experience, join our Scuba Internship. accommodation is available with the diving internships. Scuba Diving with Easy Divers Cyprus for the complete range of DSAT PADI Tec Rec Courses, Padi Instructor Development Courses. Easy Divers the only Padi Dive Centre in Protaras to offer the full range of Padi scuba courses and Technical diving courses. if we don’t teach it, it’s probably not worth doing. Resident PADI Course Director Joey A. Ridge. He can answer all your Padi Instructional training in cyprus, technical diver training course and any commercial diving technical questions. 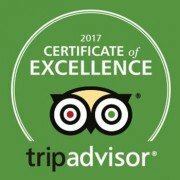 Rated: EXCELLENT by TripAdvisor Cyprus Customers during 2011 – 2018. Nitrox diving is getting more and more popular among divers. For some the extended bottom times using Nitrox tables or Nitrox dive computers are an important factor, but most people get a Nitrox certification for the extra safety aspects of Nitrox Scuba Diving in Cyprus. Have you ever wondered what it’s like to breathe underwater? If you want to find out but aren’t quite ready to take the plunge into a diver certification course, Padi Discover Scuba Diving will let you try scuba to see if you like it. Easy Divers in Protaras, will take you on a unforgetable scuba adventure. You need to know and understand information about scuba equipment, physiology and dive physics and dive theory. These exams are not that easy and required an amount of studying. Its best to studied before the course, while the other candidates making the Padi Divemaster course studied at night, which can be quite difficult.